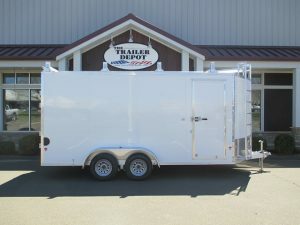 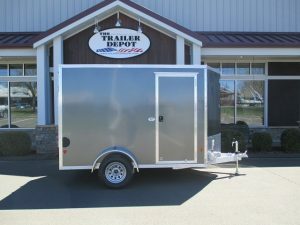 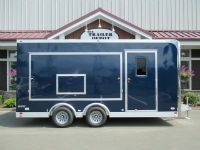 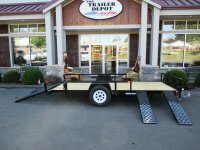 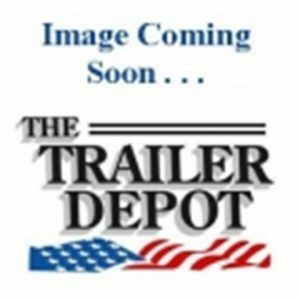 E-Z Hauler Aluminum Trailers are designed with superior components to be lightweight yet sturdy. 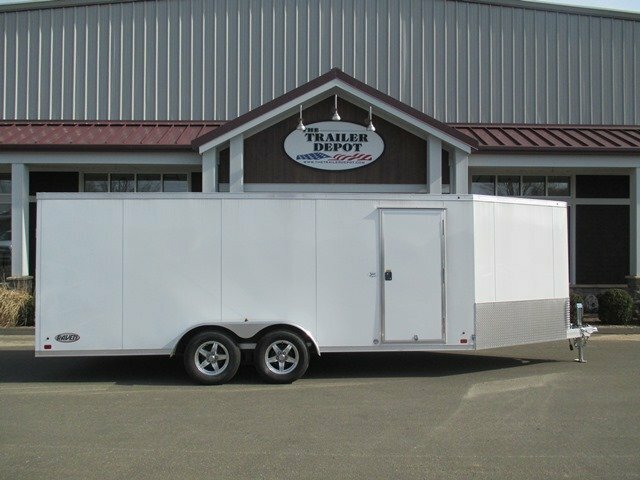 These aluminum trailers are on average 30% lighter than comparable steel-framed enclosed units. 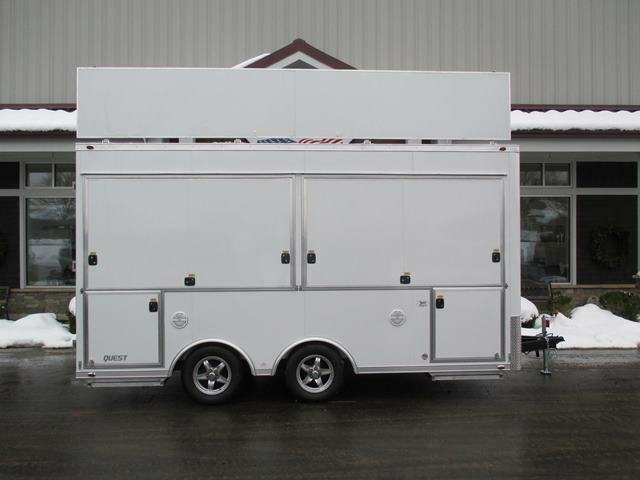 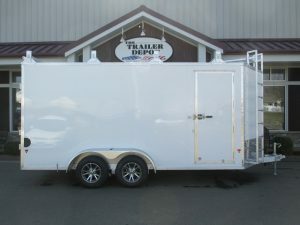 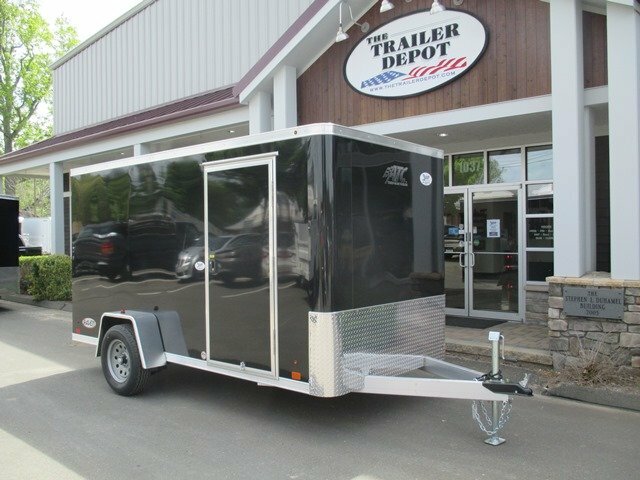 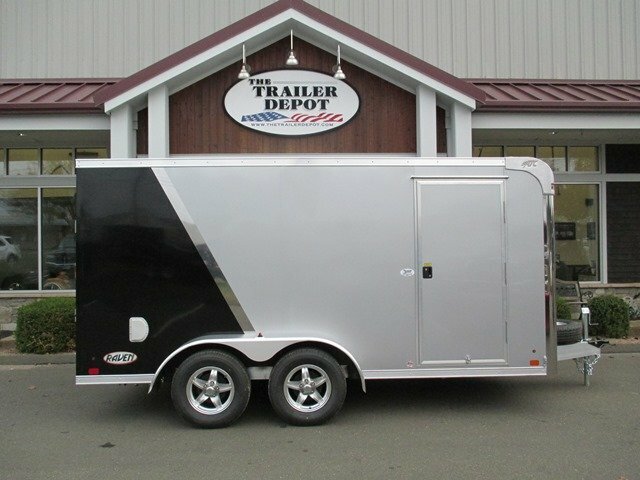 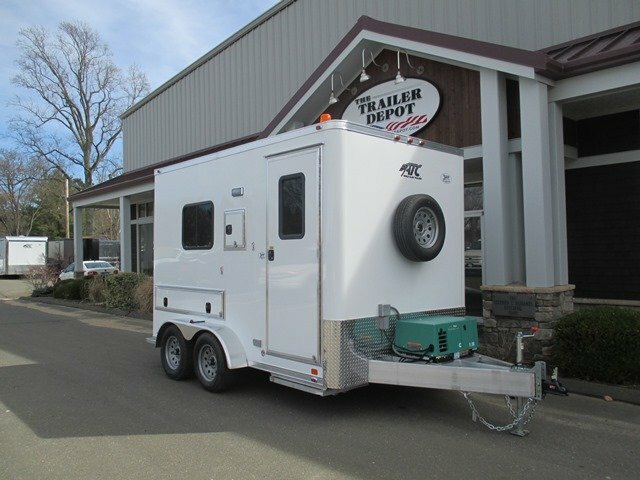 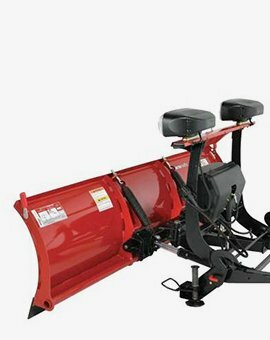 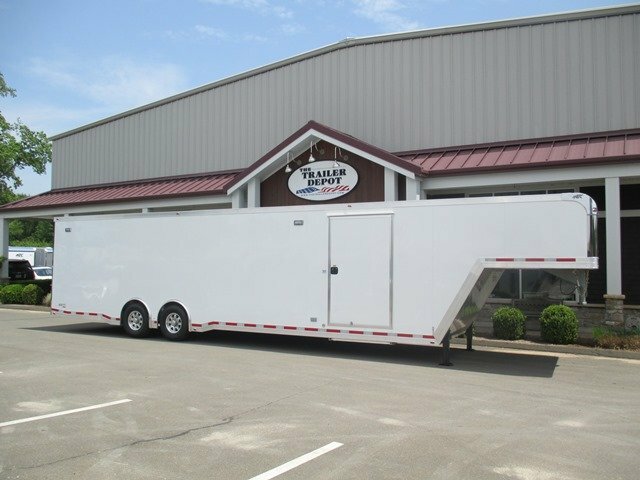 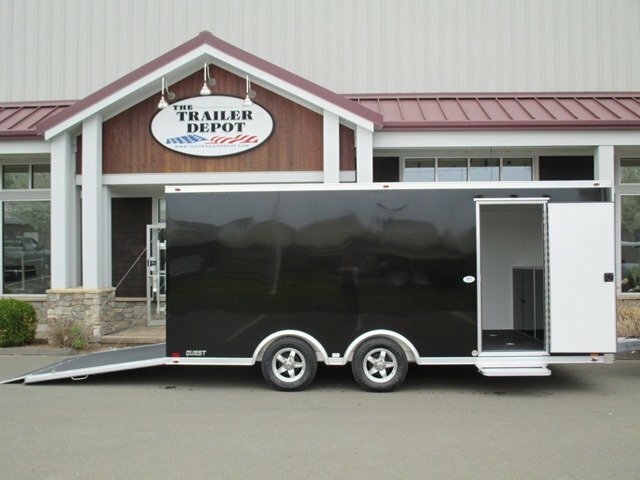 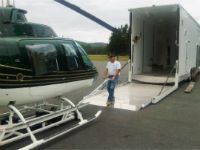 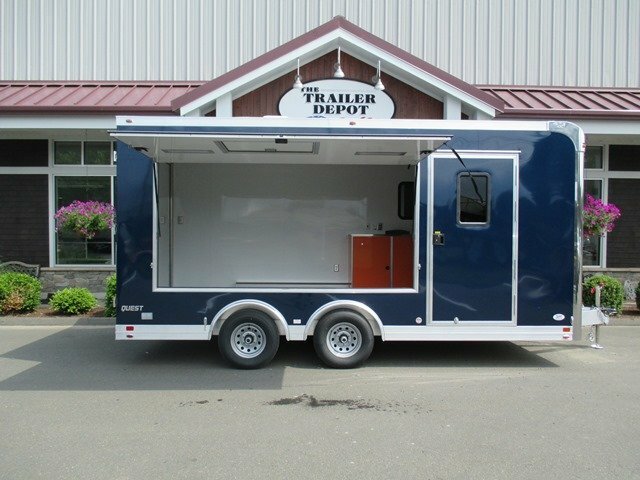 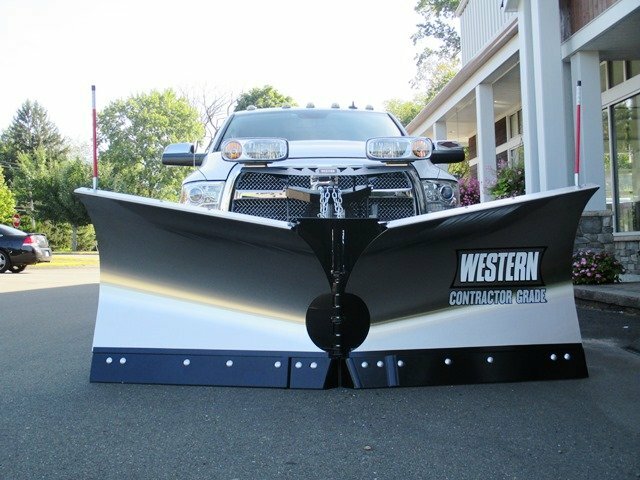 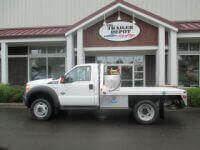 E-Z Hauler Aluminum Trailers offers a complete line of enclosed aluminum cargo trailers, enclosed aluminum motorcycle trailers, enclosed aluminum snowmobile trailers and enclosed aluminum car haulers. 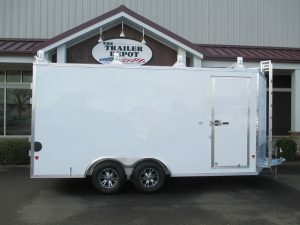 Size: W: 6' 0"	x L: 10' 0"
Warranty: 4 Year Empty Trailer Weight: 905 lbs. 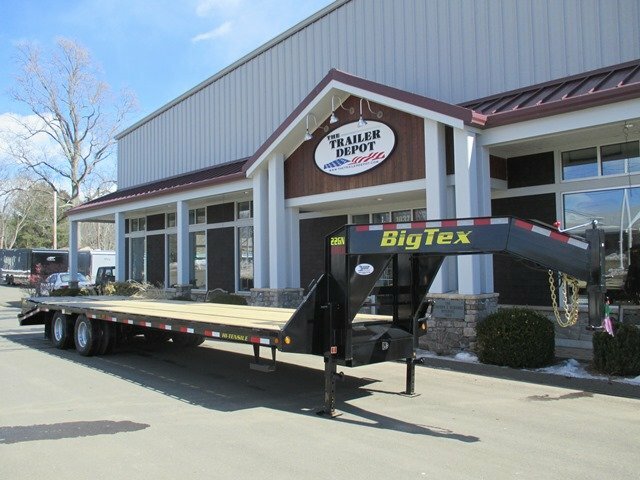 Empty Weight + Capacity: 2,990 lbs. 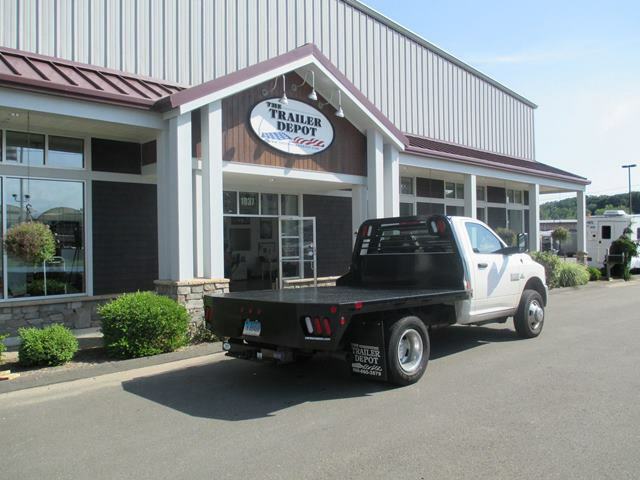 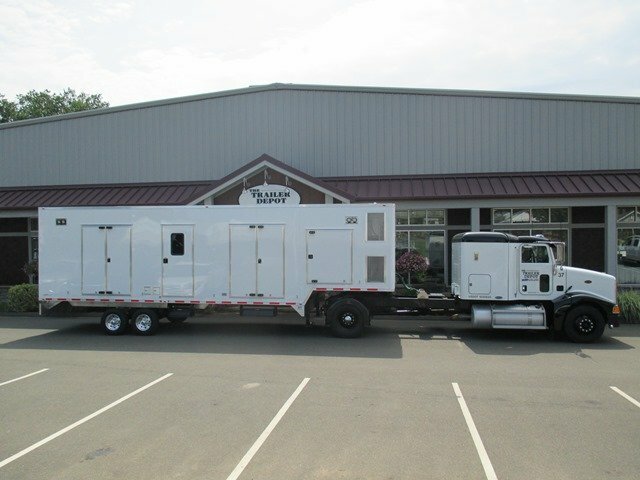 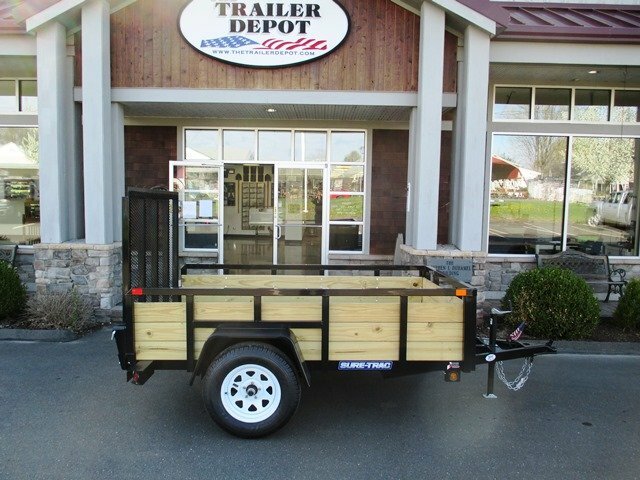 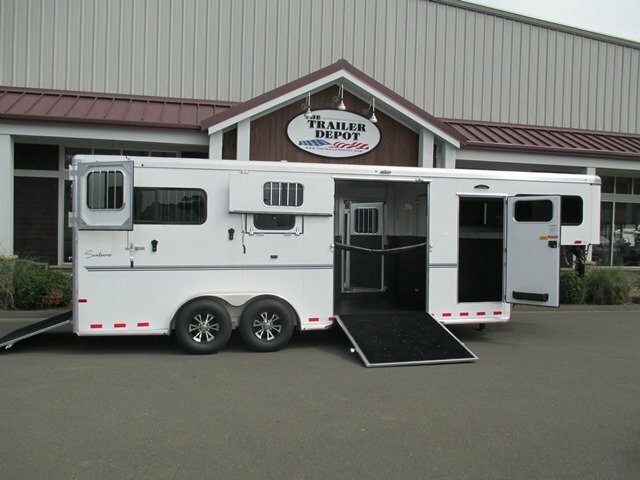 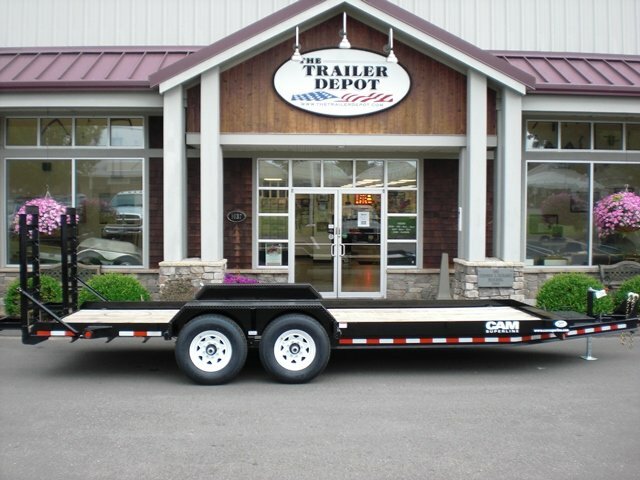 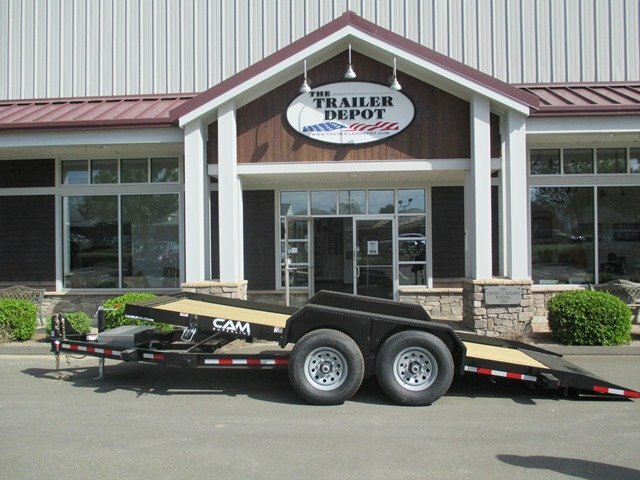 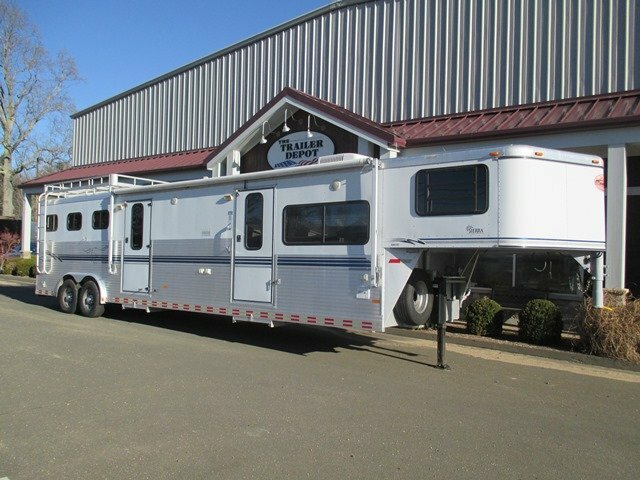 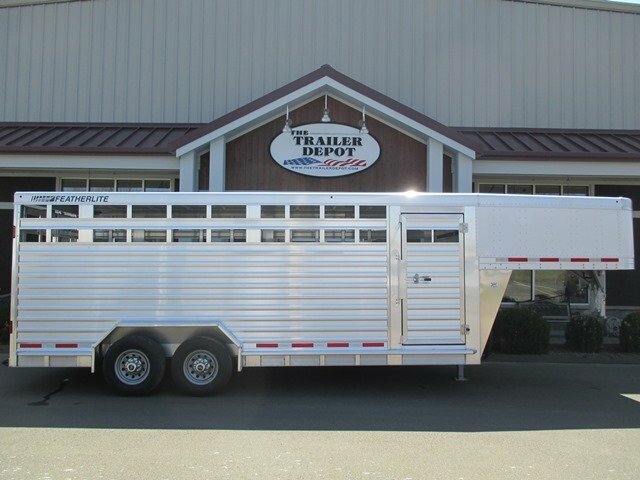 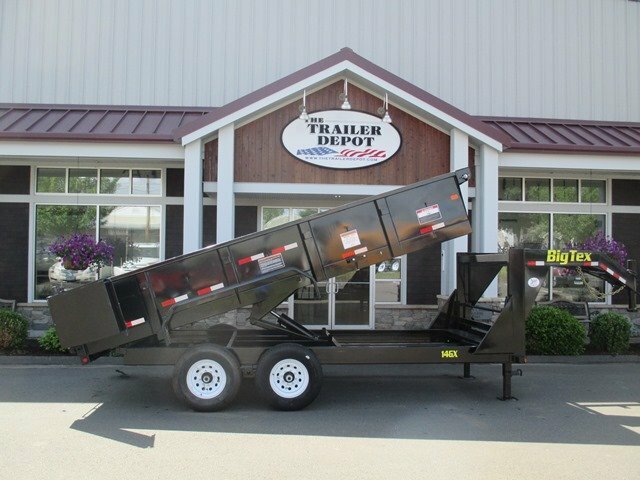 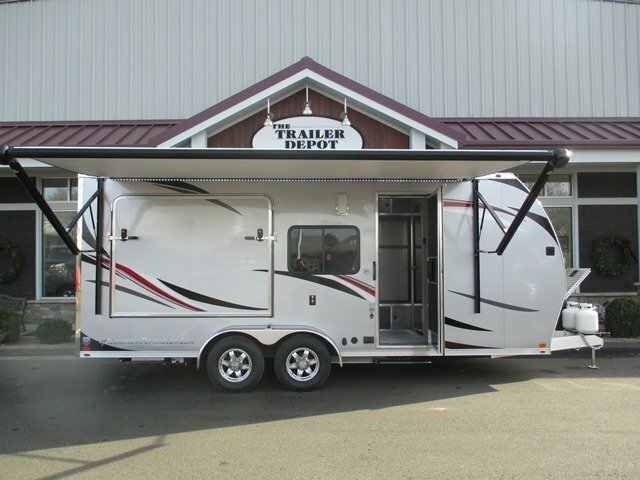 Size: W: 8' 0"	x L: 16' 0"
Warranty: 4 Year Empty Trailer Weight: 1,981 lbs. 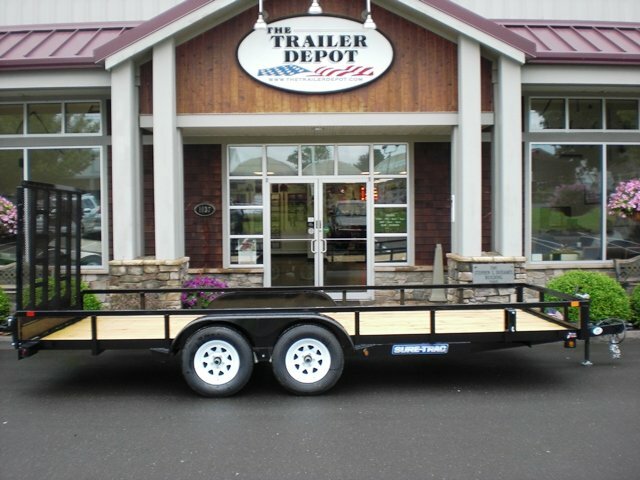 Size: W: 7' 0"	x L: 16' 0"
Warranty: 4 Year Empty Trailer Weight: 1,580 lbs. 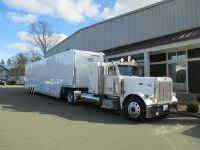 Empty Weight + Capacity: 7,000 lbs.